ARE YOU READY for chills ,spills and other assorted insanity? Come see the Standing Room Only Players' winter play "Dead Air" by Lee Mueller. 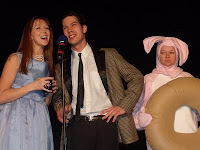 Directed by Chase Wright This comedic murder mystery is a fun filled romp thru the anniversary show of an aging radio station. Can you help the cast figure out who the murder is? Come Join the fun!!!!! For reservations or more information, call B & B’s Country Store, in Montello, 1-608-297-7511. Store hours are 10:00 to 3:30, Mon. Tues. & Thurs. ; 10:00 to 5:00, Fri., Sat., and Sun. Closed Wednesday. You can also contact Marit Klapoetke at 608-345-8339. 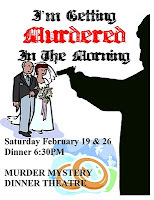 Wakefield Theatre Company in Raleigh , NC is featuring "I'm Getting Murdered In the Morning" on February 19 & 26th. Details: During the garter toss at Brenda and Eddie's Wedding Reception, a mysterious man falls dead on the dance floor from a gun shot. Luckily the bride's father -the wealthy Harold Montague -invited Damage control expert Mr. Parker to the event. Parker tries "spinning" the murder as "nothing to worry about" but Society columnist Mary Berger insists "something be done". Something like - hold the presses because this could be the "Society Scandal" of the year. 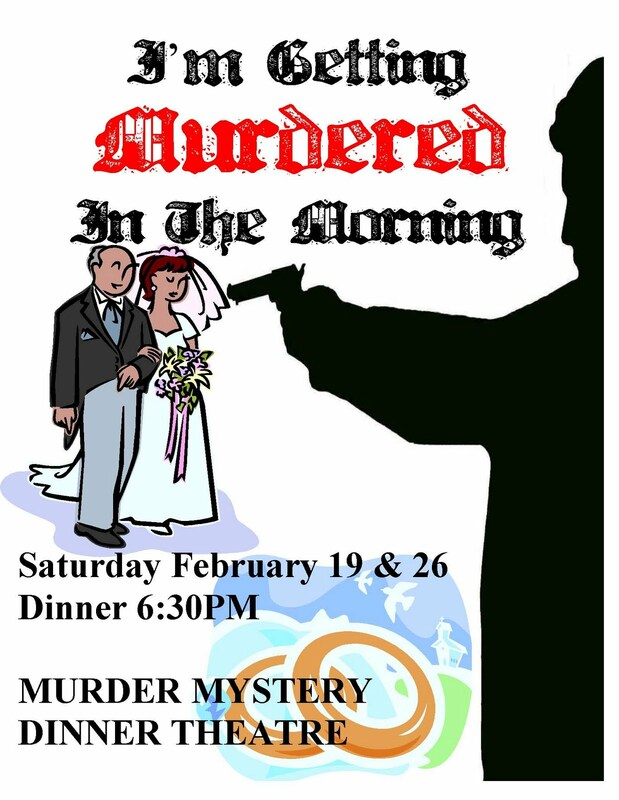 And Northpointe Prep Academy's Falcon Players are presenting "Murder Me Always" on February 19th at 5pm. I must say I had a chance to drop by Northpointe a few weeks ago when I was out in Phoenix Arizona. I got to meet the cast while they were in production and hold an informal Q and A session. They invited me to stick around and watch the rehearsals. What a great bunch kids and it looks like the show is going to be great!